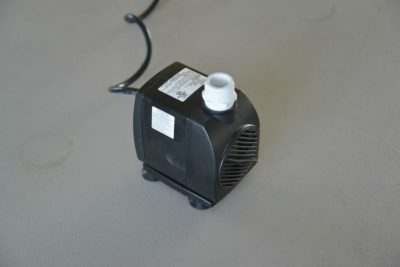 Once a year it’s time to clean your pump. Algae and particle will accumulate in the pump and begin to reduce it’s performance. 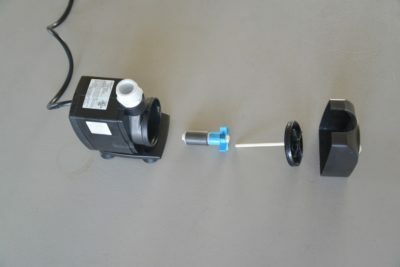 We like to use the Jebao Pumps because they have a water lubricated floating rotor that is simple and reliable. Also it is less likely to burn out when it runs dry. Unscrew the tube to the pump. 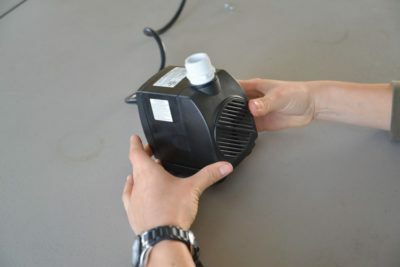 Remove the pump from the tank. 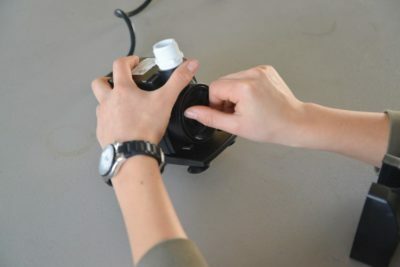 In a sink, remove the front cover of the pump. Pull out the magnetic rotor. Also clean out the end of the tubing with a brush.